What’s the Difference Between an Acute and a Chronic Injury? Treatment often begins with the RICE method. Here are some other things your doctor may do to treat your sports injury. Athletes frequently consult chiropractors about their injuries. Sports trainers in particular tend to send their athletes to chiropractors for low back pain and various musculoskeletal problems. Proper chiropractic care can decrease an injuries severity and reduce pain. The athlete may recover faster than they would without chiropractic treatments, allowing a quicker return to the game. Your doctor may suggest that you take a nonsteroidal anti-inflammatory drug (NSAID) such as aspirin or ibuprofen. These drugs reduce swelling and pain. You can buy them at a drug store. Another common drug is acetaminophen. It may relieve pain, but it will not reduce swelling. Immobilization is a common treatment for sports injuries. It keeps the injured area from moving and prevents more damage. Slings, splints, casts, and leg immobilizers are used to immobilize sports injuries. In some cases, surgery is needed to fix sports injuries. 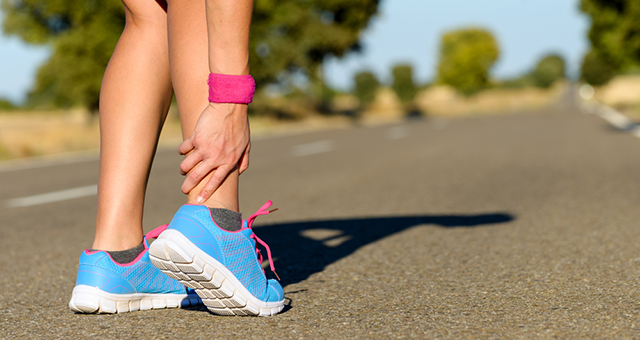 Surgery can fix torn tendons and ligaments or put broken bones back in place. Most sports injuries don’t need surgery. Rehabilitation is a key part of treatment. It involves exercises that step by step get the injured area back to normal. Moving the injured area helps it to heal. The sooner this is done, the better. Exercises start by gently moving the injured body part through a range of motions. The next step is to stretch. After a while, weights may be used to strengthen the injured area. Don’t play your sport until you are sure you can stretch the injured area without pain, swelling, or stiffness. When you start playing again, start slowly. Build up step by step to full speed. Although it is good to start moving the injured area as soon as possible, you must also take time to rest after an injury. All injuries need time to heal; proper rest helps the process. Your doctor can guide you on the proper balance between rest and rehabilitation. Other therapies include mild electrical currents (electrostimulation), cold packs (cryotherapy), heat packs (thermotherapy), sound waves (ultrasound), and massage. What Can People Do to Prevent Sports Injuries? These tips can help you avoid sports injures. Don’t bend your knees more than half way when doing knee bends. Strive for a total body workout of cardiovascular, strength-training, and flexibility exercises.